It’s a word that came out of the neurodivergentkin network and is meant to only be used as a term of self-identity by neurodivergent people. The word was coined a couple of years ago and it specifically refers to a non-binary gender identity held by a neurodivergent person. As Tumblr user strangegloved put it, “it means that your gender is not definable with words” because of the intersection of your gender identity and your neurodivergent neurotype. “A gender identity that is highly influenced by being neurodivergent, and feels undefinable because of one’s neurodivergence. Maybe yes. Maybe no. 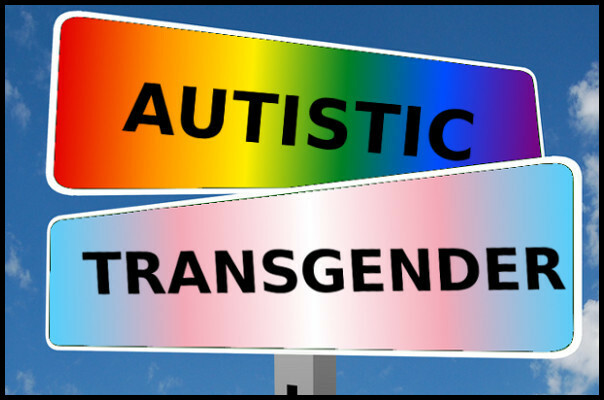 I know Autists who realized and declared their Transgender identity in their twenties or teens. But I do know an awful lot of us who came relatively late to our gender explorations. I’m older than most, but I knew plenty of Transtistic folk who went public in their thirties or forties. Autists know that the dominant narrative of autism as a disorder that precludes empathy and erases the ability to relate in community is entirely false. We need community every bit as much as any other human being. Individually, some of us need more human contact and some less, but we are not immune to loneliness or the drive to relate to others who are similar to us — who share similar joys and struggles. We long to be known and we crave understanding and solidarity. We Autists tend to face exclusion in society at large. It is heart-breaking when we Transtistics face the same hostility and exclusion in the Transgender community as well. We need our own identities, like gendervague, to help us create spaces where we can find community and acceptance as gender-variant, Autistic, whole and valuable human beings. Additionally, gendervague helps to create a community where people understand that disability can affect gender presentation as much as or even more than inherent gender identity. Identity labels so often focus on sifting out one aspect of identity, holding it apart and separate from other aspects of our lives. Gendervague is an inherently intersected identity, honoring two different facets of identity equally, simultaneously more exclusive and more inclusive. When exploring your own gender identity, gendervague might help you find people and resources that sing to your heart. I welcome you to add it to your life’s toolbox. May you build glorious communities and relationships with self and others with it.